Maximised comfort and warmth for cool-climate treks. 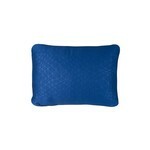 Sometimes, the extra weight associated with a more comfortable nights sleep pays for itself many times over. Built wider than their mummy shaped cousins, our Comfort Plus™ S.I. Rectangular Mats are designed to maximise comfort and warmth for cool-climate treks. At 8cm thick and a winter rated R-Value, Sea To Summit Comfort Plus S.I. Rectangular Mats provide luxury in a packable size. A 30D stretch knit fabric is used on the top layer for a great next to skin feel, and a lightweight 30D polyester with extrusion laminated TPU is used on the base for increased durability. 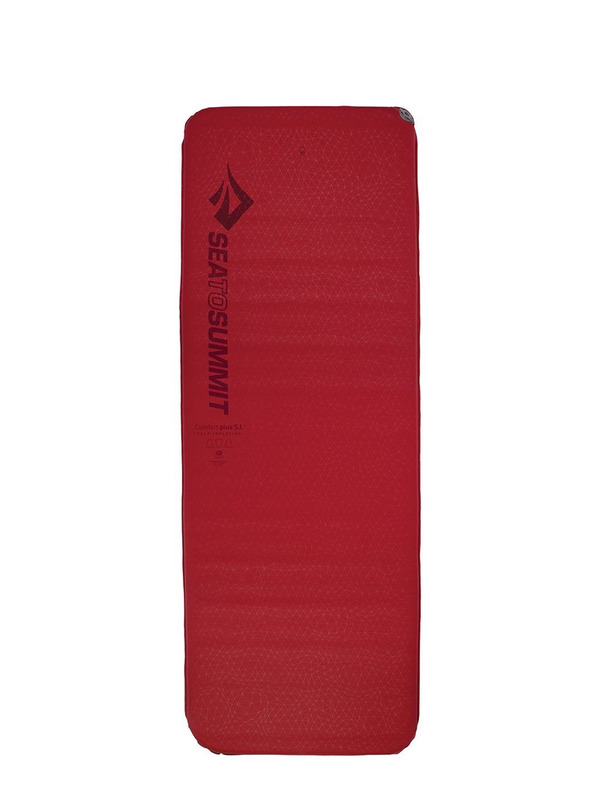 All Sea To Summit self-inflating mats feature their unique, multifunction reversible single valve, designed specifically for self-inflating mats. No more fighting re-inflation as you roll up your mat! 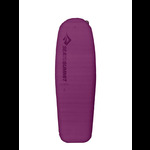 Anti-slip print on base of mat,helps hold your mat in place when camping on sloping ground is unavoidable. A luxurious 30D stretch knit fabric for a soft next to skin feeling on top. Light weigh t30D polyester with extrusion laminated TPU used on base.